The gloves are off in the latest case of rap beef. Things got heated pretty quickly when Angel Haze responded to a tweet that Azealia Banks sent out about non-New Yorkers claiming New York. It took all of about 24 hours for the two to start throwing shade at one another, and to each release a diss track. Only months ago it seemed like the two rap divas were friendly, and even talking about a collaboration. But we all know how quickly things can go South when someone speaks ill on the internet. The best thing about Twitter is that it does away with all the he-said, she-said of an old-fashioned feud. It's all right there for you to see on two timelines. You can read the full back and forth here, but Angel ended up coming off pretty vicious, calling Azealia out for her "charcoal skin" and even her transparent bubble coat (neither of those things are PC, come on now). And Azealia pumped gas like she was the homecoming queen of this year's rap class. "Angel Haze has a crush on me." Actually, it sounds like Angel Haze wants to rip your mermaid weave out. 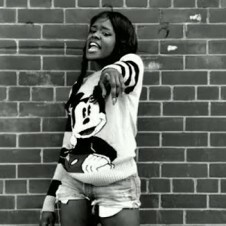 Then this afternoon, Azealia put out "No Problem." 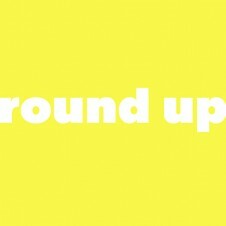 It's a wobbly tale of Banks' own successes more than a cut to her nemesis. 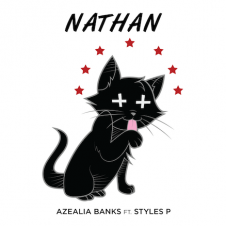 If Haze's diss aims towards a lunch-hour brawl, Azealia's is an eye roll and a hair flip. 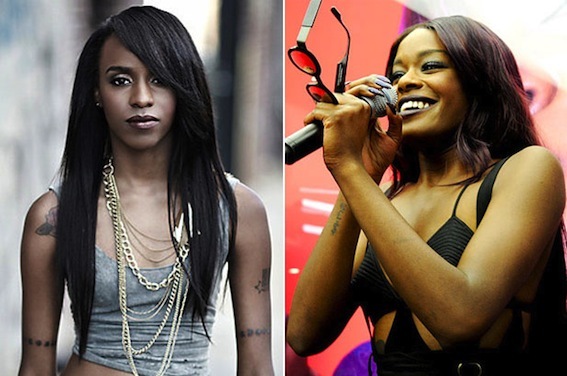 Listen to the Angel Haze and Azealia Banks' diss tracks below and feel free to chime in.